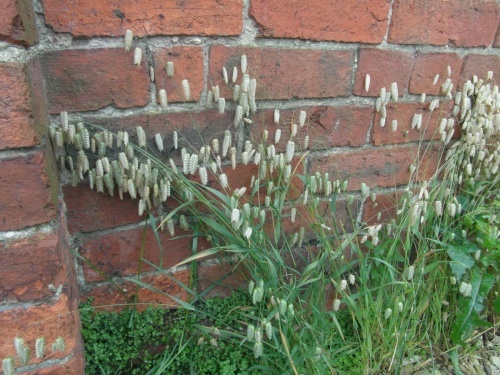 An attractive grass 15 to 40 cm tall, that grows in loose tufts. 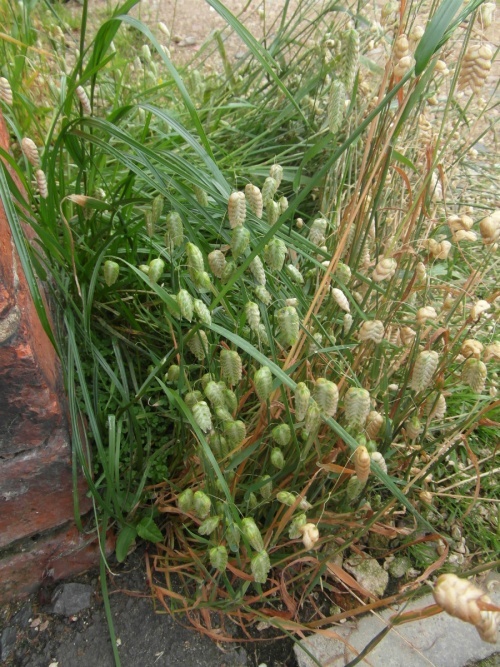 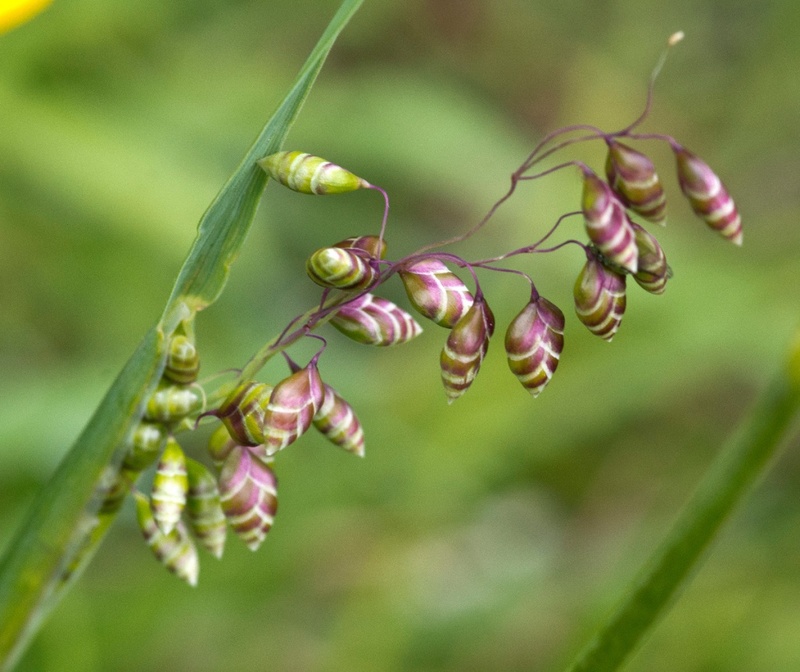 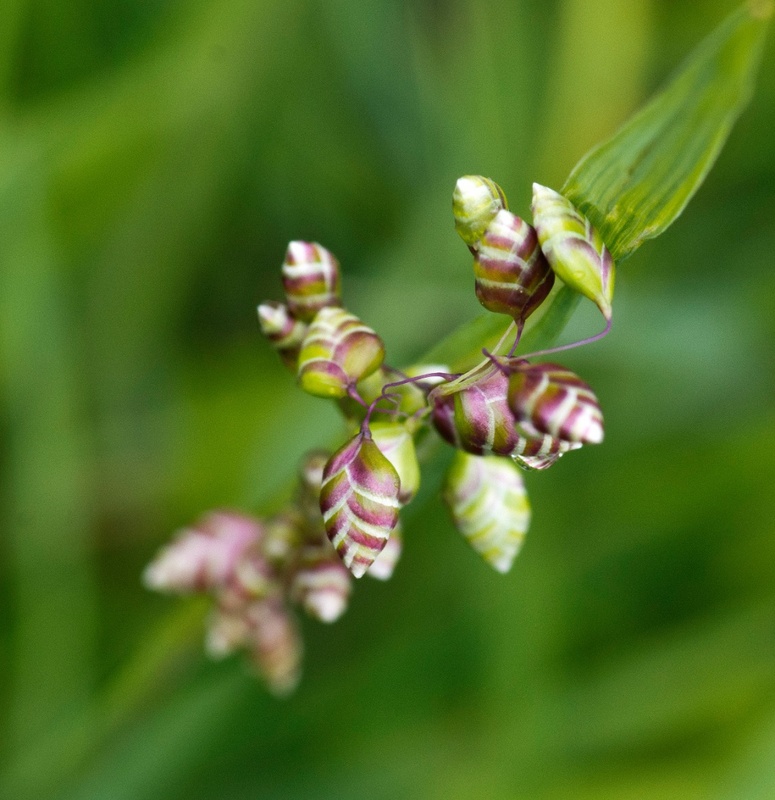 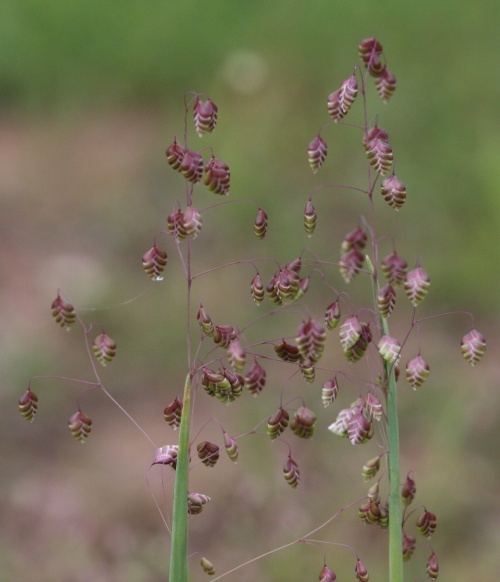 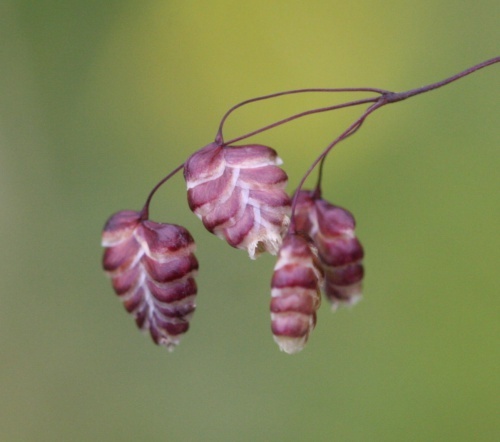 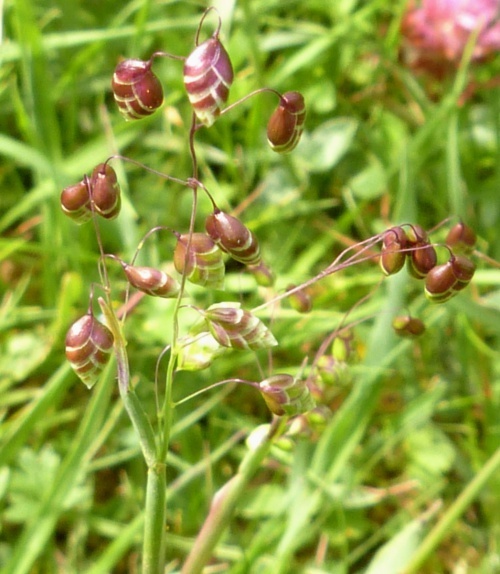 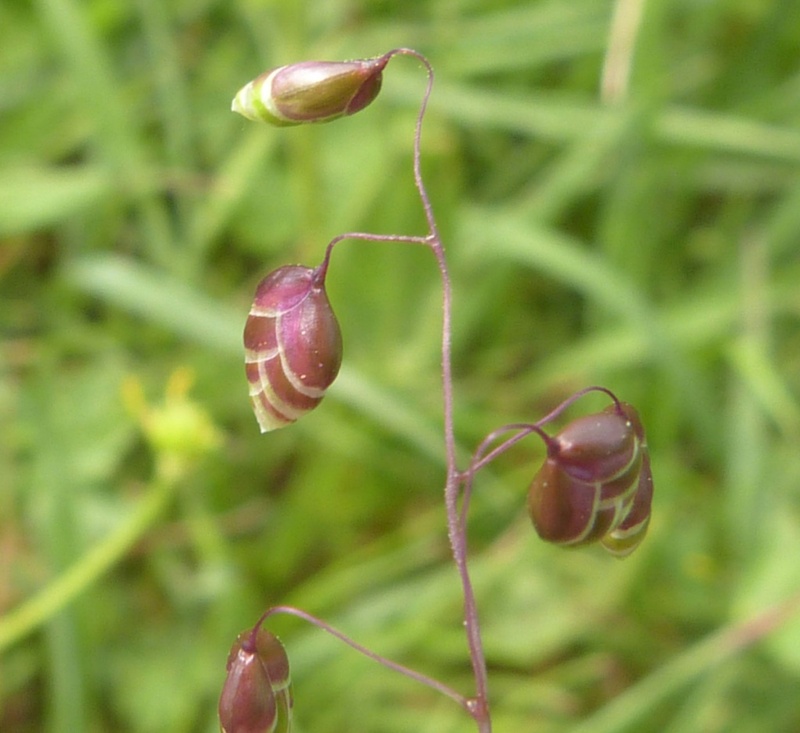 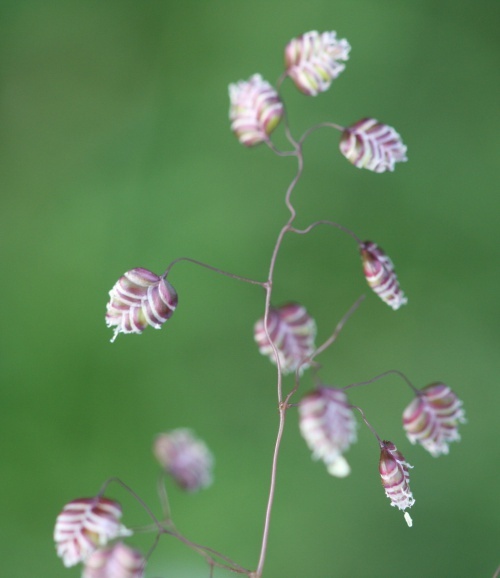 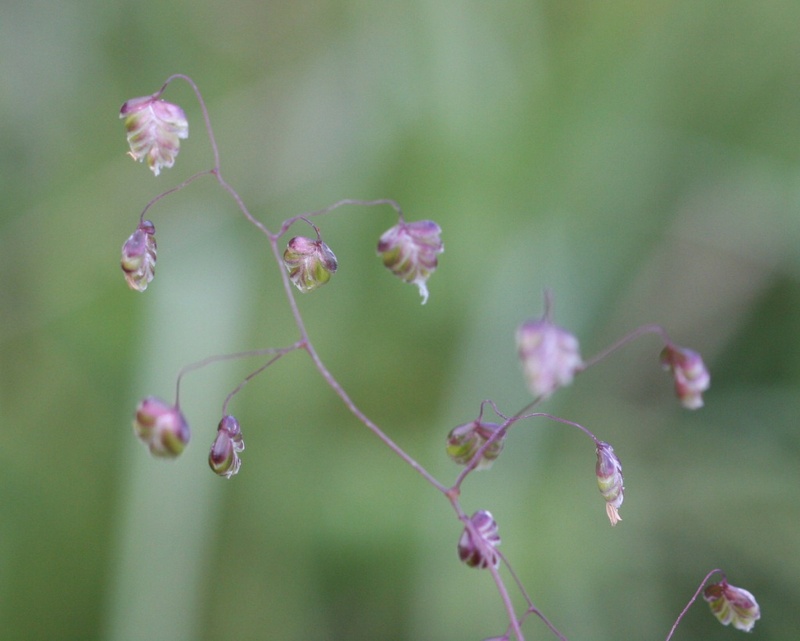 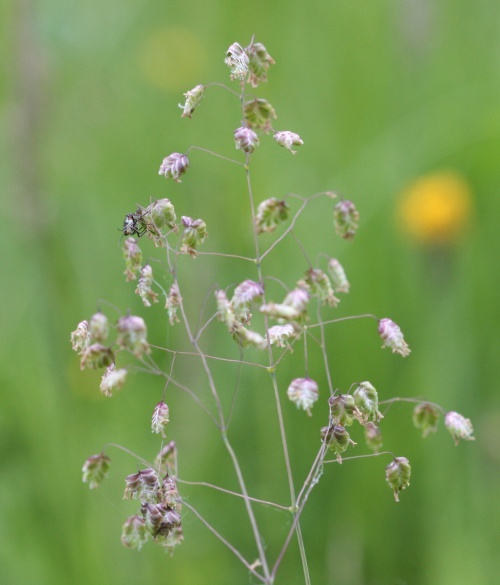 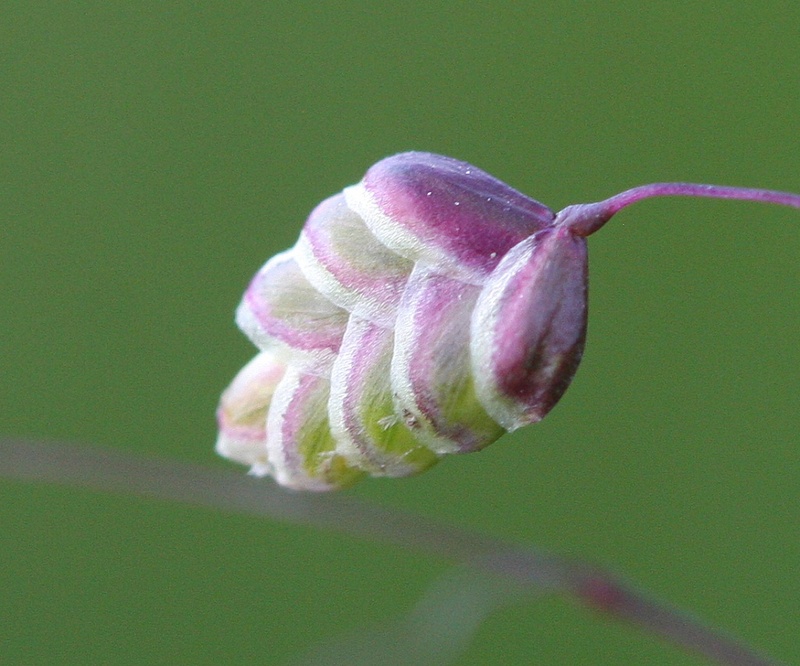 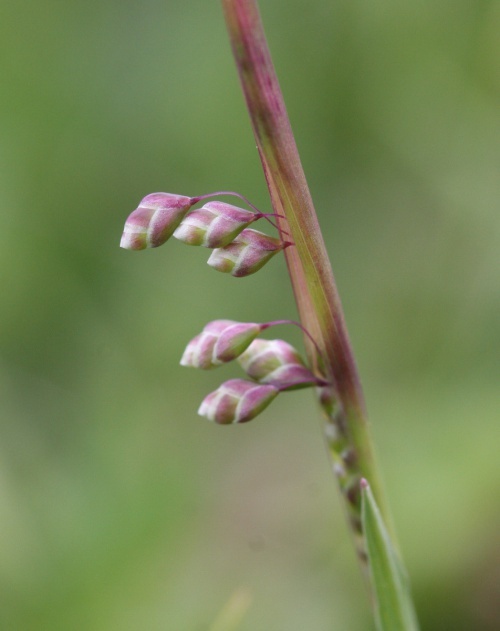 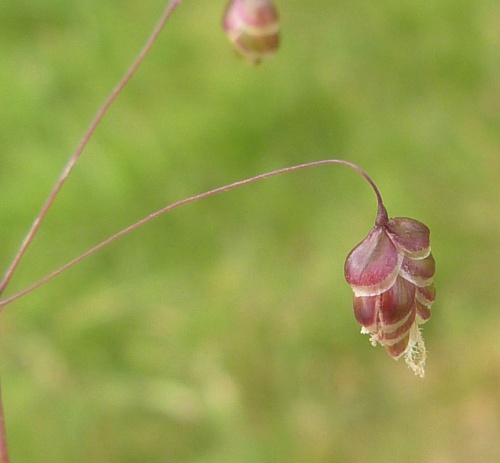 The delicate flower stems of quaking-grass are branched with pendulous flowering spikelets that shiver in the breeze, giving the plant its common name. 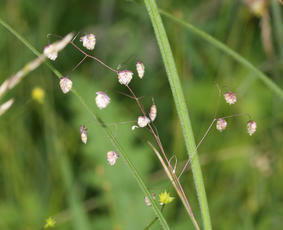 The leaves have a slightly waxy bloom and slender, blunt tips. 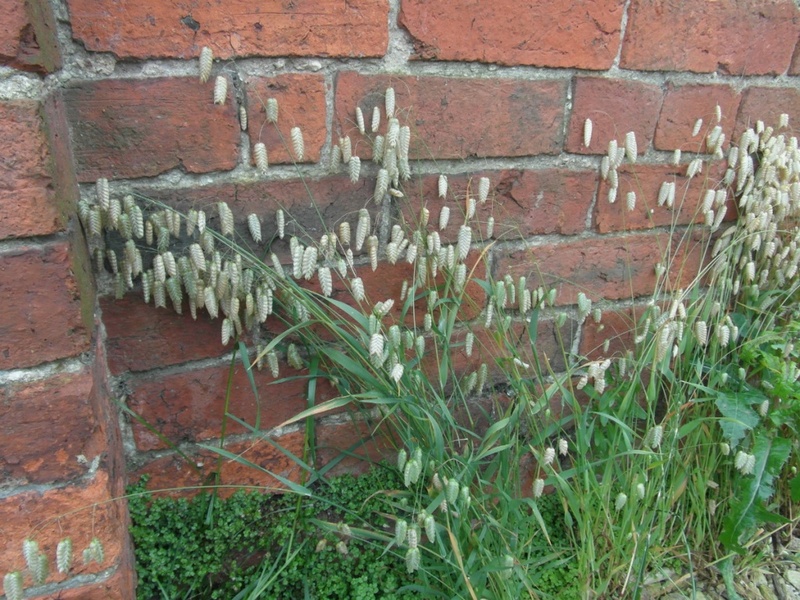 Locally frequent in Leicestershire and Rutland. 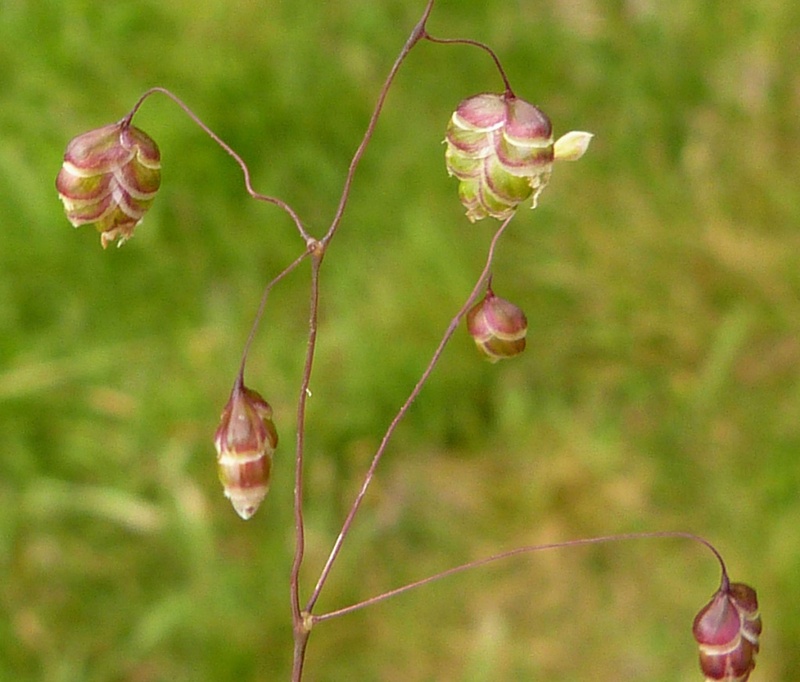 In the 1979 Flora survey of Leicestershire it was found in 213 of the 617 tetrads.